Where should we dispose of expired medicines? Should we throw them in the bin or down the drain? This video by Luke Polidano and Luke Zerafa (Yr 10 St. Augustine College, Pieta’) was produced as part of the 2018 Litter Less Campaign. It aims to raise awareness about the safe disposal of unwanted medicines. Students analyse their past live-in experiences and move forward to instill eko-friendly principles in line with the Litter Less Campaign. Reusing plastic objects giving them a second life is done regularly at Maria Regina College Mosta, where students research ways how to reuse waste and actually work together to make this happen. A cute soft hedgehog welcomes students into the garden where there are other various recycled objects that students can see and use. 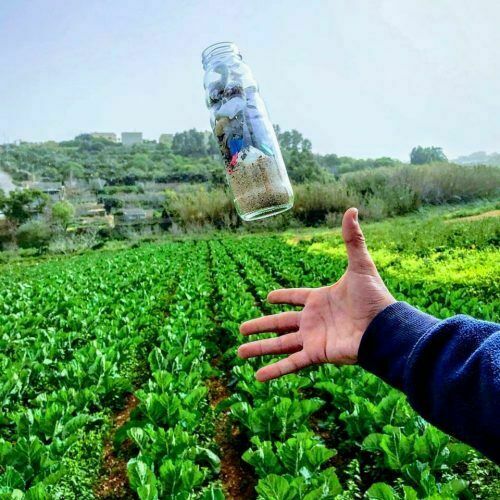 This is a simple example of how with some creativity lots of waste can be given a new life and eventually help in reducing the huge waste problem we have in Malta. Teaching is not just done through lessons, but mainly through presenting real live scenarios and solutions. The EkoSkola group of Maria Regina College Mosta regenerated the out-of-bounds school garden which is now being opened regularly during breaks, lessons and various activities. The garden was given a facelift, new hedges planted and lots of seating areas, decorations, bird feeding stations, cat shelters etc were created using recycled material. 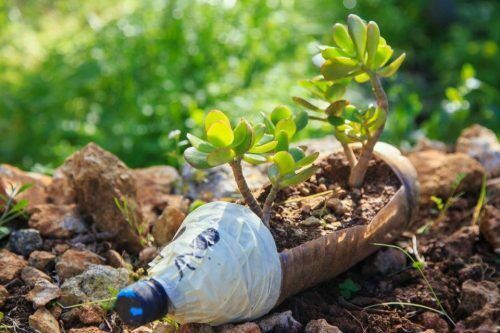 The scope was that of making the garden more welcoming, but also to create awareness about the importance of Reusing waste since there is a huge problem of litter generation and disposal in the Maltese Islands. The school’s EkoSkola Committee are taking part in the WasteServ School-Community Link Project – Promoting a Zero Waste Society in which through this and two other video in collaboration with the Video Production House Striped Sox, we are promoting the reduction of food waste and how to avoid it. This by creating awareness and also, giving tips and solutions on this. The EkoSkola team also worked on the We Eat Responsibly Project with this same theme of food waste which is being tackled via the production of a recipe booklet Sustainable Cooking including tips and ideas to preserve food and avoid wasting it as well as recipes of leftover food. Sometimes it seems a daunting effort to keep our countryside pristine as shown in this photo. But if everyone reaches out and does his/her effort we can all enjoy a view not littered by man-made materials which will outlast us all.